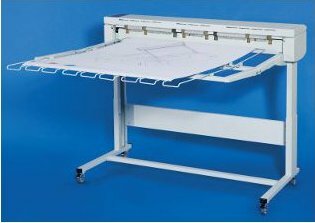 In a first step the plan has to be fed into the estefold 2300 manually for the fan (length) fold. The fan folded plan can be obtained from the exit tray without having to bend down. In a second step the fan folded plan has to be re- fed into the estefold 2300 for the cross fold. 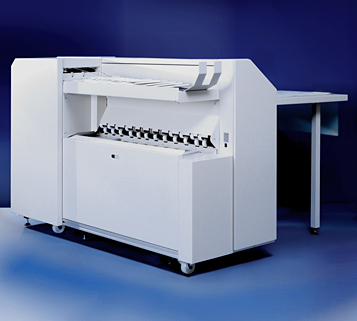 The now finished fold package can be obtained from the exit tray. 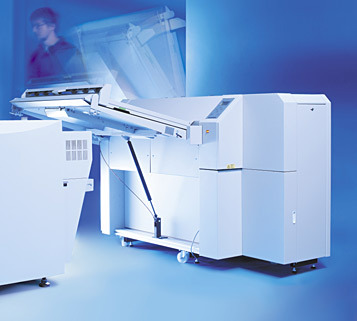 The paper is taken directly from the printer and fan (length) folded automatically first. In a second step the fan folded plan has to be re- fed manually into the estefold 2400 for the cross fold. The plan has to be fed into the estefold 4210 manually. Fan- and Cross Fold are performed in one pass in an astonishing speed and accuracy. 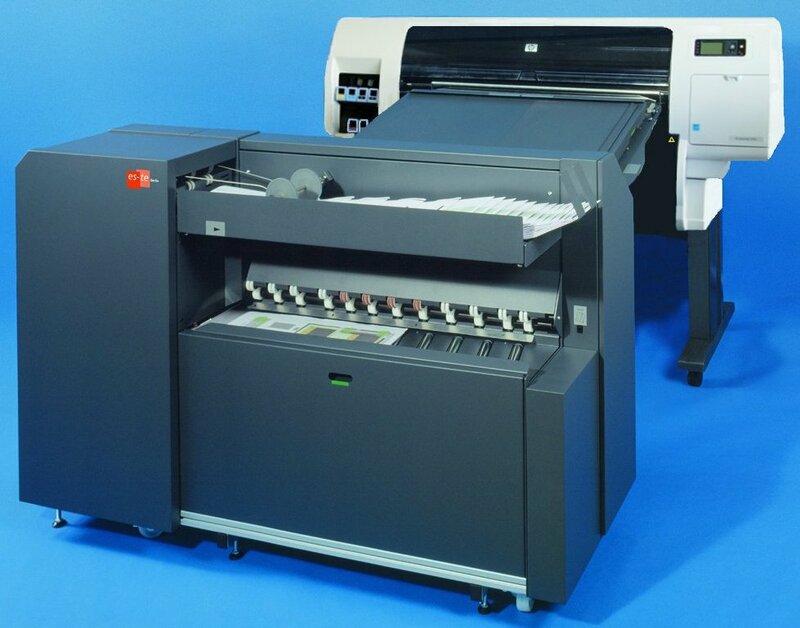 The estestack 1000 stacks up to 500 A0 prints of a wide variety of media (PPC, Coated, Glossy etc.) accurately and precisely. 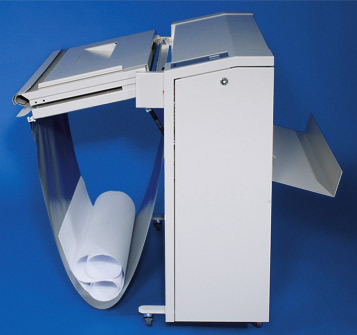 The integrated heating unit flattens the prints so that curled edges will never again decrease your productivity. Different temperatures can be selected by the push of a button. 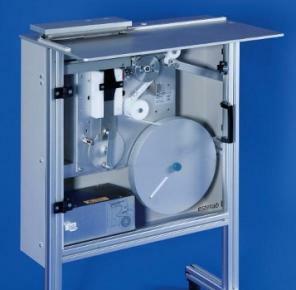 The estestack 1000 is connectable to almost all major printers in the market- just plug and stack. High quality prints do not belong in a catch bag- protect them with the estestack 1000. 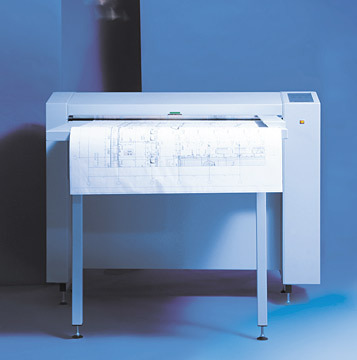 The fan (length) folded plan or any other document simply has to be guided on the estetab and it automatically applies a tab to the last layer. The complicated slant fold and the subsequently punching are dipensable. The tear resistant tabs come in easy to change rolls and one roll is sufficient for approx. 1800 tabs (estetab 1110). Its a simple and efficient solution.